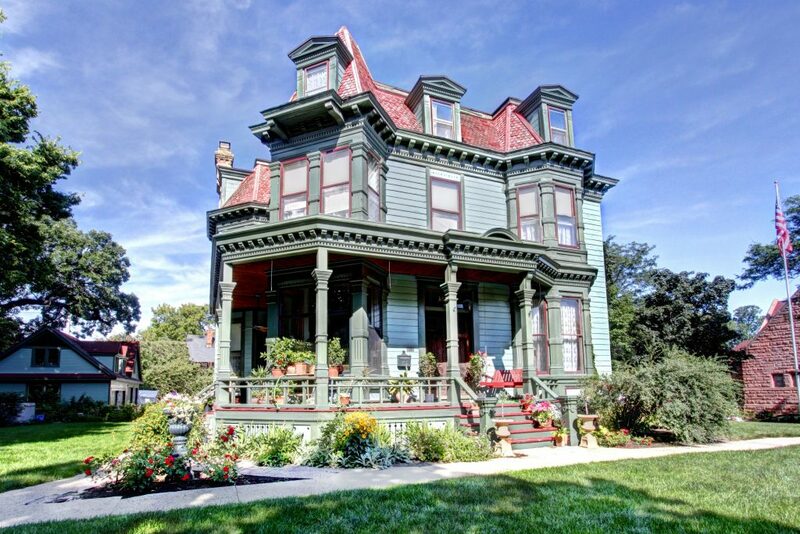 Built in 1882, this grand home was commissioned by Judson Wade Bishop of the Second Minnesota Regiment and designed by architect Abraham M. Radcliffe. Featuring a limestone and Kasota stone foundation, the French Second Empire styled home is easily recognized by its mansard roof and sits on close to a half-acre of land. Born in Evansville, New York in 1831, Bishop was the son and grandson of Baptist ministers. He studied civil engineering and worked as a draftsman in Ontario before moving to Chatfield, Minnesota in 1857. While residing in Chatfield, he worked as a railroad surveyor and served as the principal and teacher of Chatfield Academy. He helped form the 2nd Minnesota Regiment during the Civil War, being the first man to muster in and the last man to muster out. 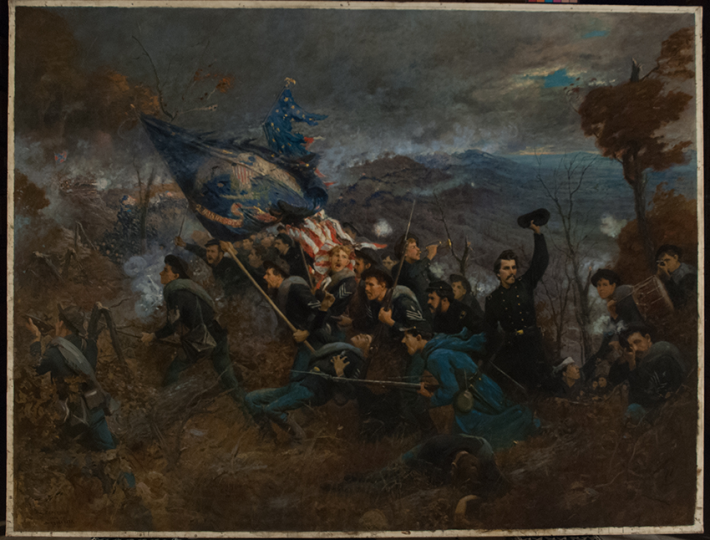 He is remembered for his courageous military actions during the war and in particular for leading his troops into battle up Missionary Ridge at Chattanooga, Tennessee in 1863. A painting depicting this famous historic scene hangs in the Governor’s Reception room at the state capital (Bishop is depicted as the soldier waving his hat). 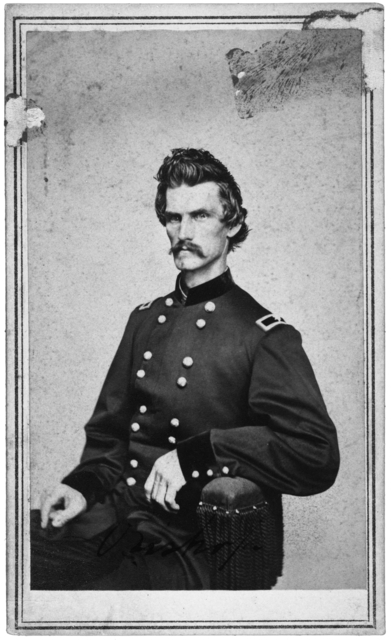 He was promoted rapidly during the war, and received a brevet promotion to brigadier general in March 1865. Bishop returned to his job after the war moving from Chatfield to Le Sueur, to Mankato, and then finally to St. Paul when he was promoted to U.S. Deputy Surveyor in 1866. He also served as the general manager for the St. Paul and Sioux City Railroad from 1871-1883. Bishop is well known in Minnesota history, especially for his published works about the Civil War (The Story of a Regiment, 1890) and his time with the railroad in Minnesota (History of the St. Paul and Sioux City Railroad, 1905). Bishop married his first wife Ellen Husted in 1866, having four sons together before her death in 1878. A few years later he purchased land west of the Cathedral and built this beautiful home. His next wife Mary Axtell,whom he married in 1884, bore him five more daughters. The house served as the Bishop family residence until his death in 1917. Over the next 65 years, the home passed through a succession of owners, being broken up into no less than 18 sleeping rooms. 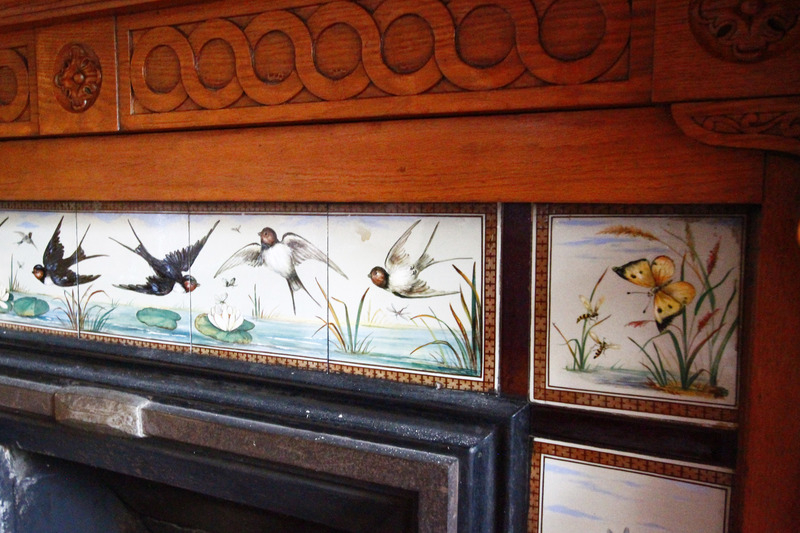 When the present owners purchased the home in 1982, it was in terrible disrepair. The front porch had been removed, the roof leaked, the siding was rotting, and it had suffered from vandalism and attempted theft of the interior woodwork. It took the owners over 5 years to restore the home back to its original grandeur. Interestingly, Bishop’s youngest daughter, Middy, visited the home and current owners before her death (1992 at 90 years old). She told them wonderful stories about the home, including how her father was always worried the Christmas tree candles would start a fire, and that F. Scott Fitzgerald came to her birthday party once and was quite rude. This entry was posted on Saturday, August 19th, 2017 at 7:20 pm	and is filed under Minnesota Historic Homes, Second Empire, St Paul Historic Homes. You can follow any responses to this entry through the RSS 2.0 feed. You can leave a response, or trackback from your own site.